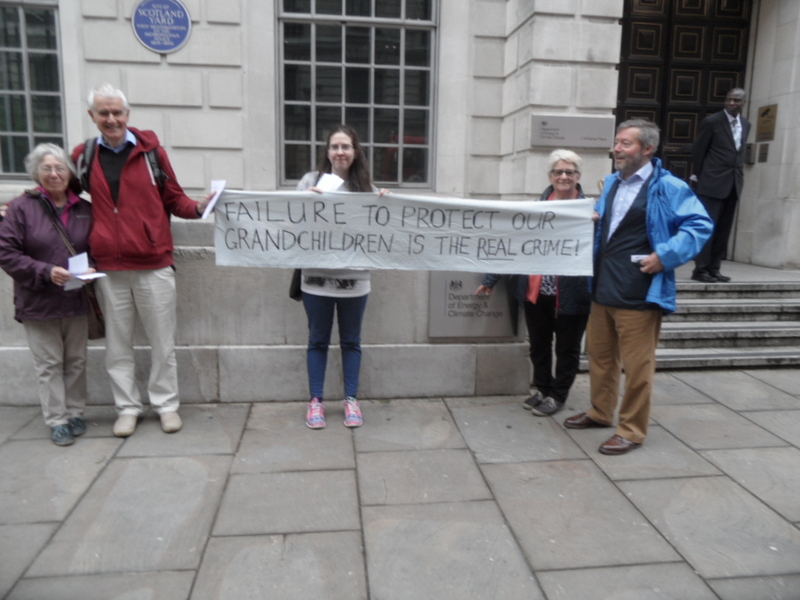 On 31st May 2016, members of GFASE staged demonstrations both at Hammersmith Magistrate’s Court, London, and at the headquarters of the Department of Energy and Climate Change. This was in support of one of our members who was being prosecuted that day for his action with Christian Climate Action on 30th November 2015. (Details and pictures of that action can be seen under “Our Actions”). Although GFASE is a non-sectarian and non-party-political organisation, we will sometimes support actions by other groups where one or more of our members takes part and the action confirms to our aims. 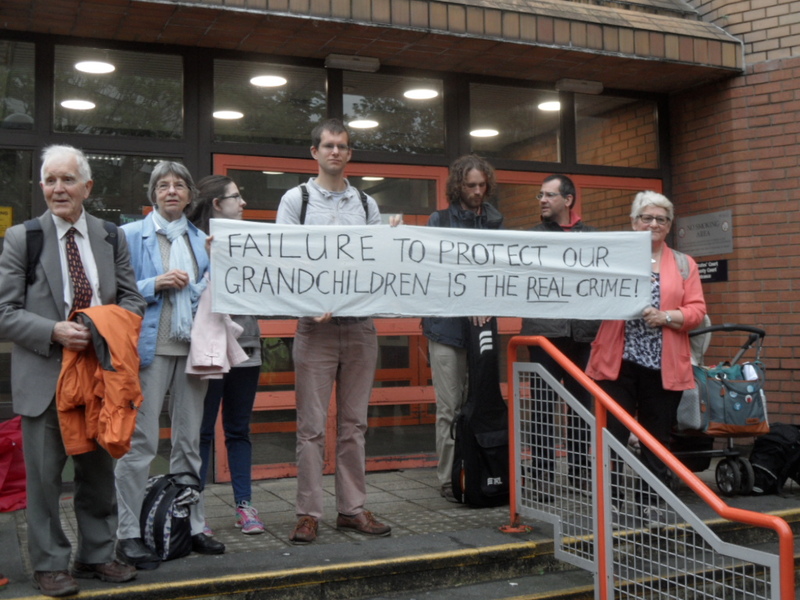 A video of the actions on 31st May can be seen on this link http://xp-vhve07 a/ If you have trouble accessing via this link, just type Grandparents for a Safe Earth into the YouTube.com search box and scroll down until you find it.